VALLEJO, Calif. - Attorneys for a California man who reported that his girlfriend, Denise Huskins, was kidnapped in what police are now calling a hoax, say the man himself was bound and drugged during the abduction and that it was not made up. Attorney Dan Russo says his client Aaron Quinn, 30, did not immediately call police when his girlfriend, 29-year-old Denise Huskins, was abducted early Monday because at least two kidnappers "forced him to drink something" they said was a drug. Police say Quinn waited until Monday afternoon to report that strangers broke into his Vallejo home nearly 12 hours earlier and abducted his girlfriend for an $8,500 ransom. Investigators have said they were suspicious that it took the boyfriend so long to report the incident but had to take it seriously for the two days she was missing. Huskins reappeared Wednesday 400 miles away at her father's home in Huntington Beach in Southern California. Authorities later announced that they had no proof a kidnapping ever occurred and believe it was a hoax. They said they had been trying to contact the 29-year-old after she resurfaced but they were unable to and couldn't determine where she was. They also added that she had retained an attorney. On Thursday, Quinn's attorneys, Amy Morton and Dan Russo, said at a news conference that their client was not involved in any kind of hoax. They said Quinn was drugged and restrained by intruders who entered his home early Monday morning. According to the attorneys, Quinn was relieved when he found out Huskins was dropped off safely at her family's residence on Wednesday but has not had the opportunity to speak with her. Police questioned Quinn for 17 hours, Russo said. "The details of this abduction are absolutely bizarre. We have never heard anything like this before," Russo conceded, while maintaining that his client's version of events were fact and that the abduction really happened. Jeff Kane, Huskins' uncle, similarly told CBS Sacramento that police were reckless in concluding it was a hoax. "I thought it was overzealous. I thought it was premature," Kane told the station in a telephone interview after a Wednesday press conference by Vallejo police. Kane said Huskins was merely being careful and seeking legal counsel. CBS Los Angeles reported Huskins was expected to meet with police detectives on Thursday. Asked if he was asserting that Huskins was in fact a victim who was abducted, Kane said, "Well obviously, I don't know for a fact, but that's my sincere belief with every part of my being. Yes, I don't think this is a hoax in any way." Kane disputed that the family was avoiding calls from police. He said that because he's a lawyer he has an ethical obligation to not reveal any discussion with Huskins. While Huskins was still missing on Tuesday, the San Francisco Chronicle received an email from an anonymous person claiming to be holding the 29-year-old. The person wrote that she would be returned safely Wednesday, the newspaper reported. "We will send a link to her location after she has been dropped off. She will be in good health and safe while she waits," the email read. "Any advance on us or our associates will create a dangerous situation for Denise. Wait until she is recovered and then proceed how you will. We will be ready." It included an audio file of a woman identifying herself as Denise Huskins, who mentioned Tuesday's airliner crash in the French Alps to verify she was alive. Her father confirmed the voice in the file was his daughter's, the Chronicle reported. 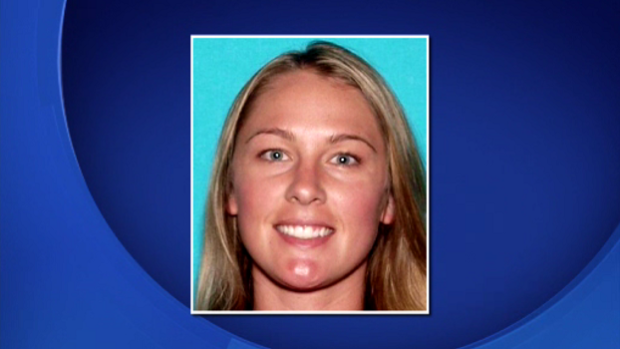 Huskins works as a physical therapist at Kaiser Permanente Medical Center in Vallejo, where Quinn is also employed.